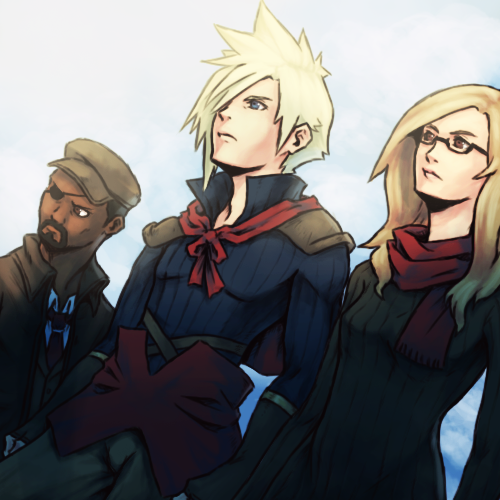 Hey everyone, back to give a progress report WoL. It's been a few weeks and a good amount of things have changed since my last post. As you can see the new Icey Games thread can be found here in the GD forum. I will be using this thread to talk still to talk all things Icey/AGS related. But I digress, on with the news. 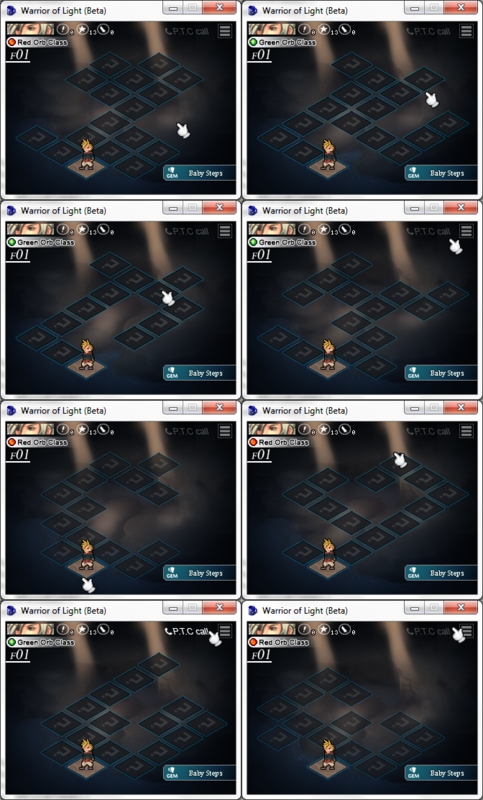 I spent some time still adding in the new monsters/animation batch which will be done hopefully soon. Amidst that, I have been working to update spell cards, names, and symbols. I have removed old names of cards and re-purposed them with new powers and such. i.e, Venom Spear is now a wind based attack called Gust and Soul Mower is now an electric based attack called Zap, etc. The main 4 cards have been updated to sort of match their new spells. I have also added in something that multiple people have brought to my attention and that's different map shapes for each. I have created 8 shape types that, entering a room, causes the map to take on one of these forms. This way whether going up or down you never really know what to expect and things won't seem as repetitive. Most of the maps are created in a way to push the player to get more chances to power up just to help make sure they are stronger but not too much to the point that it's annoying. If the player wants to grind/farm they are free to do so whenever they feel like it rather than when the game wants them too. There are also a bunch of new tracks that are done and worth the listen. I'll shoot to get those up soon as well. This game has seen at least 4 name changes. Each bring some needed story changes but I have found a good need to settle on and and the story is solidified. This is the new and final logo of the game. I've been working on this project since late October of 2015 and I'm pushing to get the game up ready for release Q4 of this year. 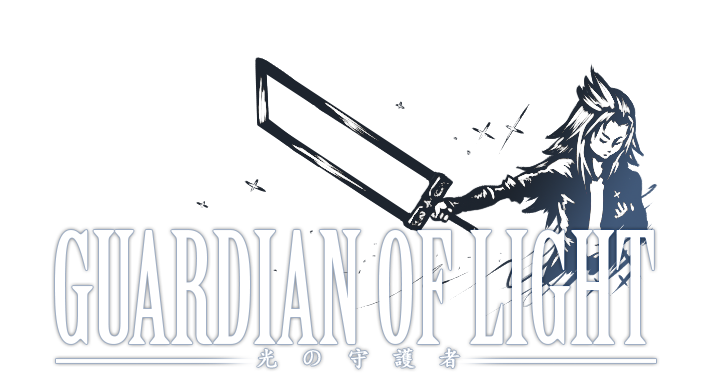 The new logo is made to reflect the internal struggles the protagonist, Kaito, faces while trying to do his duty as Guardian of Light. Speaking of Katio. After a lot of feedback and thinking I considered the thoughts of updating his designs to look less like another popular character. 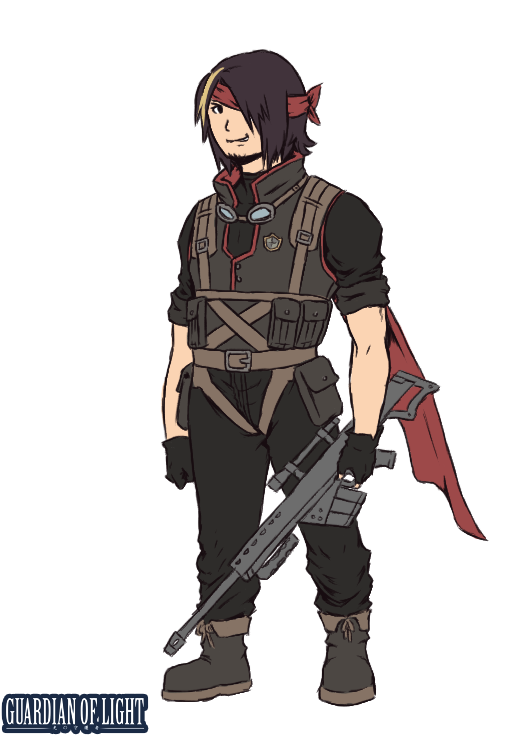 I wanted to make him look more like a bounty hunter than soldier so I sat down and drew up this design that was actually well received with others. As for the old design. I was reluctant to given it up so easily because it's one I used for 6+ years now and I've done so much work with the design in the game previously so I wanted to find a way to keep it in the game but not be such focal point. So it is still in there but you're going to have to play to see how. There's been a lot of changes in terms of how things are designed. Katio's sprite have also been updated with a new look and nicer animation for 4 directions instead of just left and right. It's only couple of frames frames for each but it still looks way better. Some more changes would be UI assets. Like the designs of of the GEM graphics or much more. Here's some screen caps taken of the current build of the game. There's also been two more characters added to the game. "Intel man" JW & Big Shot "Biggs"
JW can be contacted through the P.T.C. and he will oversee the Bestiary and Hunts. Both of which are new features I'm currently in the works of adding to the game. Biggs on the other hand is still in the works and is highly dependent on another feature that I'm looking into adding to the game. If that works he'll be added but if not he'll have to sit this tittle out. With all that in this update I think I'm gonna end it there for today. There's still a great amount of work to be done but I just wanted to show some stuff about the game to show that it's still underway and progressing well. I'm hoping that by June we can have trailer ready to go for all to see. And then after it's back to Square to see if we can get the game on Collective. Oh, I like the new art! Nice Stuff Icey. Keep it going, man. The new overworld sprite looks phenomenally better. I also really like the new character design. As a matter of fact, all of the graphics have been greatly improved. Just a question though - your "Into the Void" UI graphic is awesome but appears (to me) to be a different style to the rest. Are you updating everything to that style? I hope so as that particular one jumped out at me as being very, very good. Great progress! I know it's hard to let go something you've been working on for a long time, but it's worth it! That character sprite is brilliant! 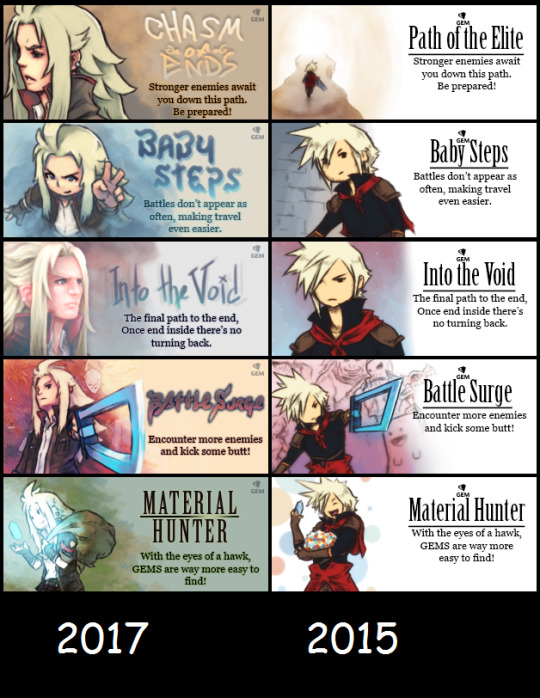 Reminds me a bit of the Disgaea games. @Danvzare: Thanks mate. I really felt the game could use a bit of a facelift using the stuff I learned recently. Before the game was pretty bare bones but now I think it's shaping up into looking like something good. @CaptainD: Thanks man. I did all 5 of those images based on different styles that I have. The Into the void one was the hardest one because while it was easy to think of as oppose to the others I struggle drawing in a digital painted style. I don't actually plan to change the rest of them but I would like to update that specific card once more this year. The game uses mostly still images for cutscenes so I'm hoping that I can wrap my head around how to digital paint so I don't have to pay someone to update the stills and I can do it myself. 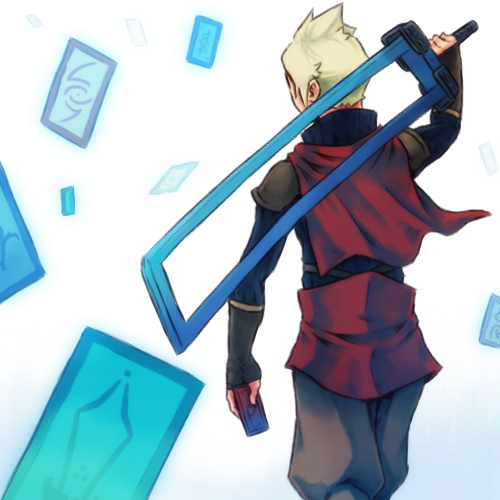 @Cat: Thank you :3 and it is very hard however, when I originally tried to submit the game to Square Enix Collective they didn't seem to mind the design. They only denied the submission because they felt the pitch page could use more info. I'll most likely ask them about the design and edit it from there. That or I'll most likely get in mind artistic zone to edit before hand. 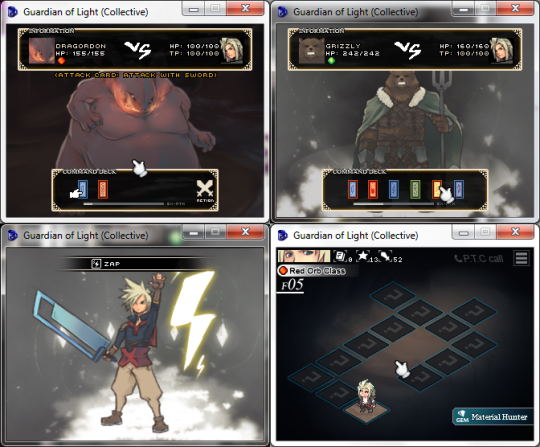 But the Disgaea games do have some cool sprites. Thanks for the comparison! Oh man, I'm soooo bad at keeping this updated. Although I do like the way it usually turns out. Instead of updating frequently I can sorta drop a bomb shell of new stuff to see and hear. So it's 5 months since my last post. Albeit I've been busy with many other things but I've been making progress with the game nonetheless. And's what's happening so far. I've been working on this game since 2015. It's been the longest game I've worked on yet and has received a number of changes to make it into the project it is today, however, the changes don't stop there. A lot of changes to the story, gameplay, and other stuff are taking shape with the game. 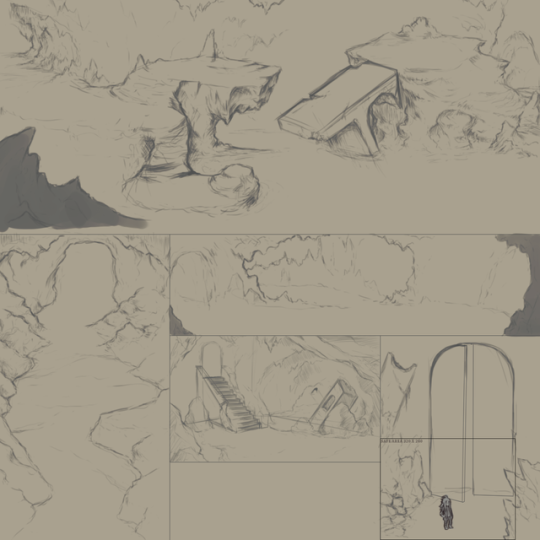 For starters, I'm working on making traversing dungeons feel more engaging, pretty, and interesting. I feel this is the direction I should have taken in the beginning but the game wasn't planned to be as big as it is now. And after feedback I've come to learn this is the best choice of action. On top of battles, I'm looking into ways to add puzzles and such to make rooms fun. With this change also comes a new world sprite set. 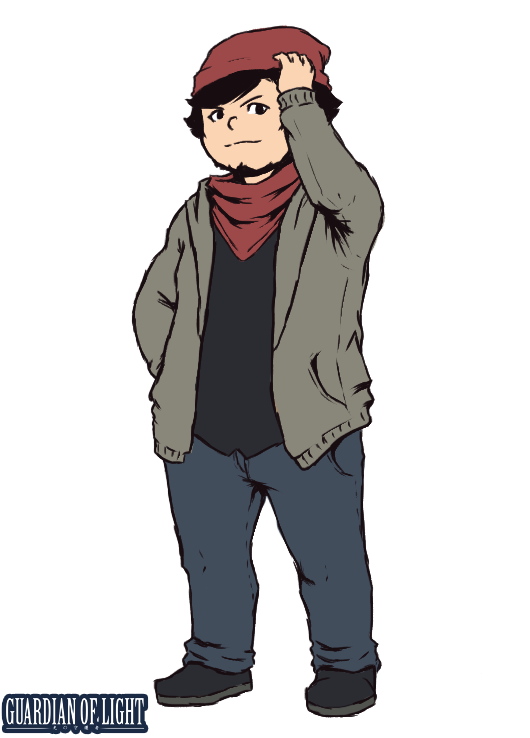 A more in-proportion look will be used for Kaito when exploring as opposed to his latest pixel redesign. I don't want to scrap the pixel design or the grid map all together so if I can find some other use for it I'll use it. Also a nice new addition to the game is that everyone now has a fresh new design aside from what was previously shown. 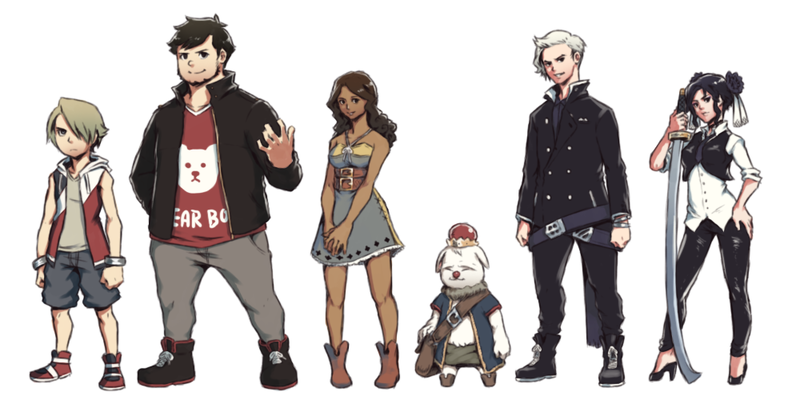 Well all the main characters. Speaking of which. A short comic is planed to be released on October 21st. I don't want to spoil where the comic takes place but you can at least see some character artworks of key characters here. On to some smaller but still cool stuff! The main menu has been given a nice face lift. One that I hope makes it feel more nicer to look at when starting the game. The clouds in the background move and just before getting into the menu a little animation plays out with the logo. And check out this rad preview of some tunes for the game. The soundtrack is developing rather nicely and sounding quite superb. And that's pretty much it. There's more tidbits to show but it's not really important. I have a lot of stuff left with the game so hopefully 2018 works out nicely as a release date because as time goes on it seems like everything won't be ready until then. With that being said, I'll post another update when I have some more good stuff to talk about. Damn, Icey. That all looks great. I definitely want to check out this comic. haha thanks man. I just hope I don't burn out along the way. It's supposed to be chapters long so at best if I do end up burning out towards the end I will push to have a least 3 chapters up and finish the last two after. Awesome Icey, this all looks brilliant. Although the chubby guy looks a bit like JonTron. Is that on purpose or purely coincidental? Happy September you guys! 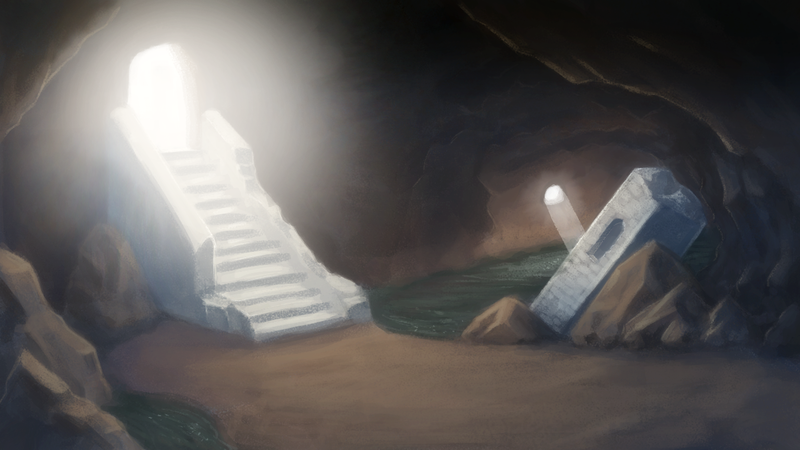 I don't have a major update to post but I'd like to share but I wanted to show progress on the new background art and Kaito sprites for Guardian of Light. First up is this first background. For my first my first legit digital painted background I just gotta say I'm proud with the way it came out. I wanted to hire someone to honestly handle these who was actually more trained in this area but I'm sure with a little more practice I can really make these seem more pro. 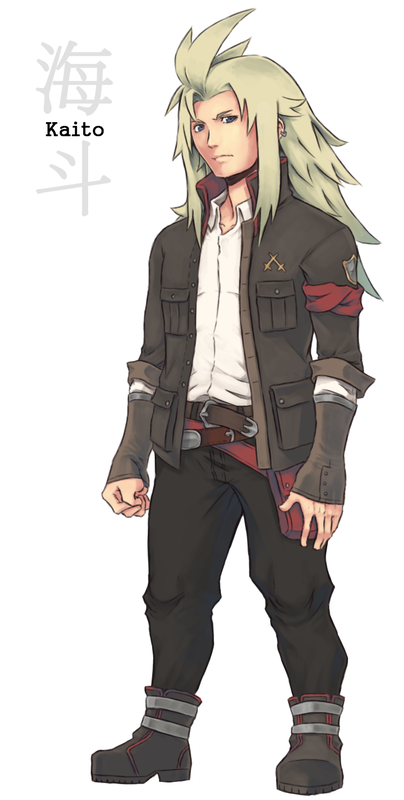 lastly for today, here's a look at the sprite work I've been pushing out for Kaito. I have to say that these are a lot harder than I thought but boy am I happy to see them coming out so nicely. All that's left is to get that last one inked, the all of them colored and focus on making sure his head/hair animates nicely when moving. Oh! And then I have to add his flash-step warp animation as well, which shouldn't be too hard. Great to see you continuing to push yourself like this, never let that enthusiasm die dude! As for the animation (and the missing head) here is the final version. I removed the warping because there is some more technical issues that I have to look into before working on it.